Content validity, sometimes called logical or rational validity, is the estimate of how much a measure represents every single element of a construct. 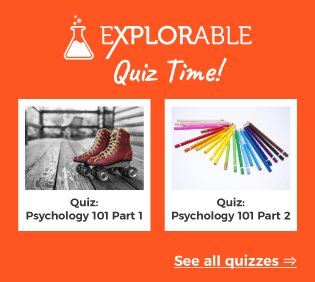 For example, an educational test with strong content validity will represent the subjects actually taught to students, rather than asking unrelated questions. Content validity is often seen as a prerequisite to criterion validity, because it is a good indicator of whether the desired trait is measured. If elements of the test are irrelevant to the main construct, then they are measuring something else completely, creating potential bias. In addition, criterion validity derives quantitative correlations from test scores. Content validity is qualitative in nature, and asks whether a specific element enhances or detracts from a test or research program. How is Content Validity Measured? Content validity is related to face validity, but differs wildly in how it is evaluated. Face validity requires a personal judgment, such as asking participants whether they thought that a test was well constructed and useful. Content validity arrives at the same answers, but uses an approach based in statistics, ensuring that it is regarded as a strong type of validity. For surveys and tests, each question is given to a panel of expert analysts, and they rate it. They give their opinion about whether the question is essential, useful or irrelevant to measuring the construct under study. Their results are statistically analyzed and the test modified to improve the rational validity. Let us look at an example from employment, where content validity is often used. A school wants to hire a new science teacher, and a panel of governors begins to look through the various candidates. They draw up a shortlist and then set a test, picking the candidate with the best score. Sadly, he proves to be an extremely poor science teacher. After looking at the test, the education board begins to see where they went wrong. The vast majority of the questions were about physics so, of course, the school found the most talented physics teacher. Suitably embarrassed, the school redesigned the test and submitted it to a panel of educational experts. After asking the candidates to sit the revised test, the school found another teacher, and she proved to be an excellent and well-rounded science teacher. This test had a much higher rational validity and fully represented every element of the construct.